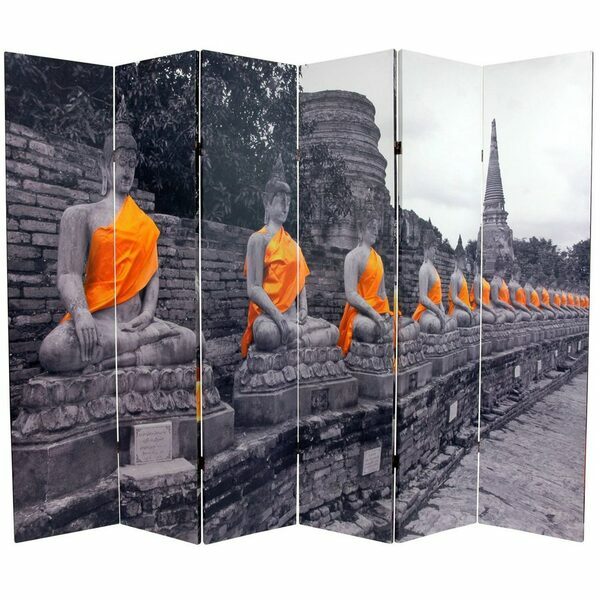 This six panel screen features sharp black and white compositions of Buddha statues adorned with festive sashes, colorized a brilliant saffron orange. 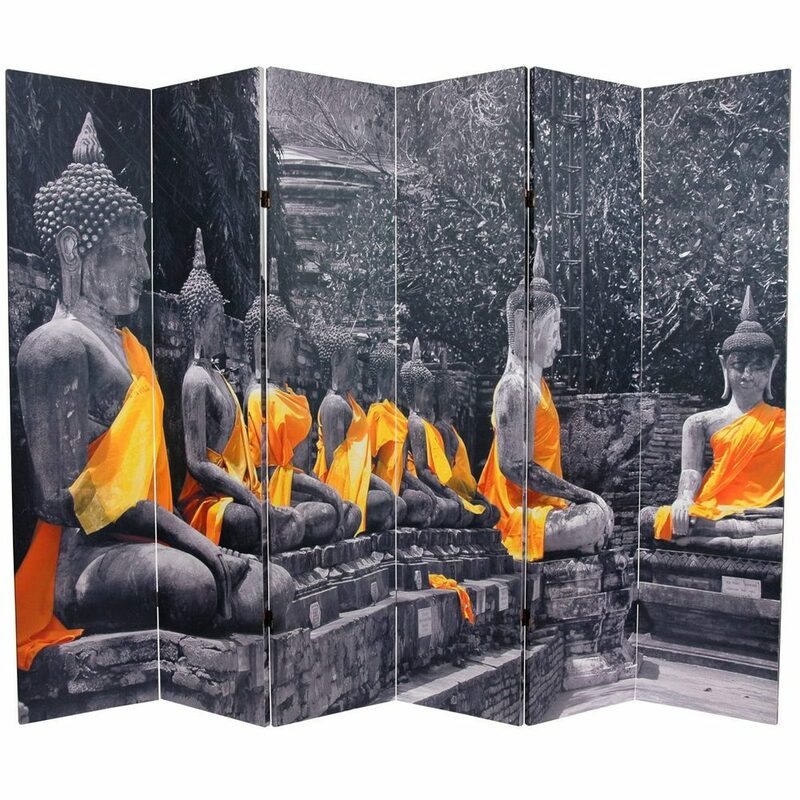 These peaceful, beautiful images will add a serene decorative accent to your treatment rooms, relatation area, lobby and more. This room divider has different images on each side, as shown.